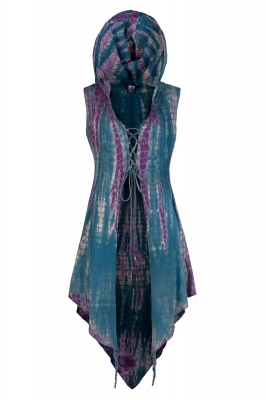 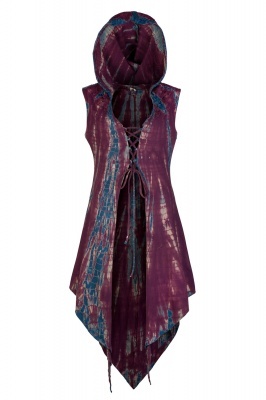 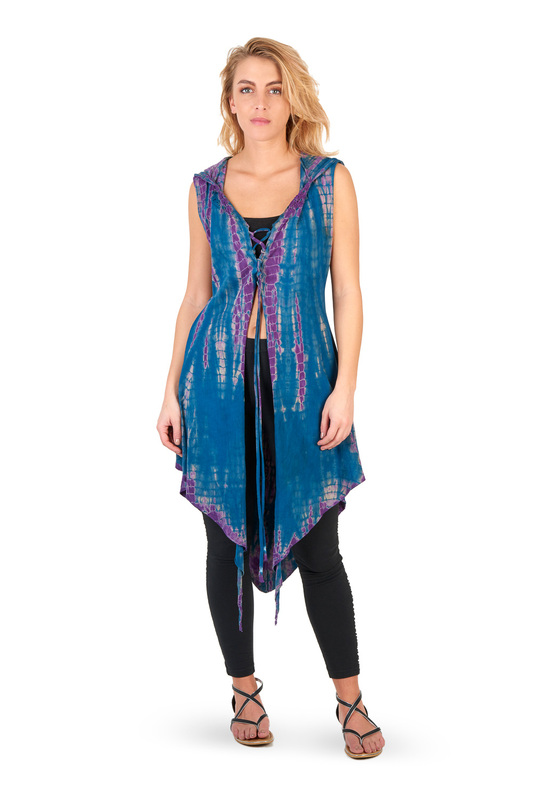 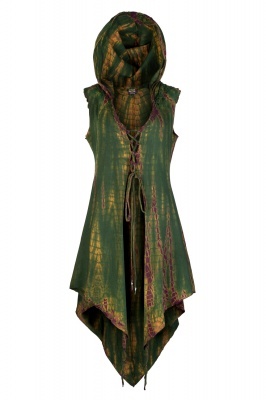 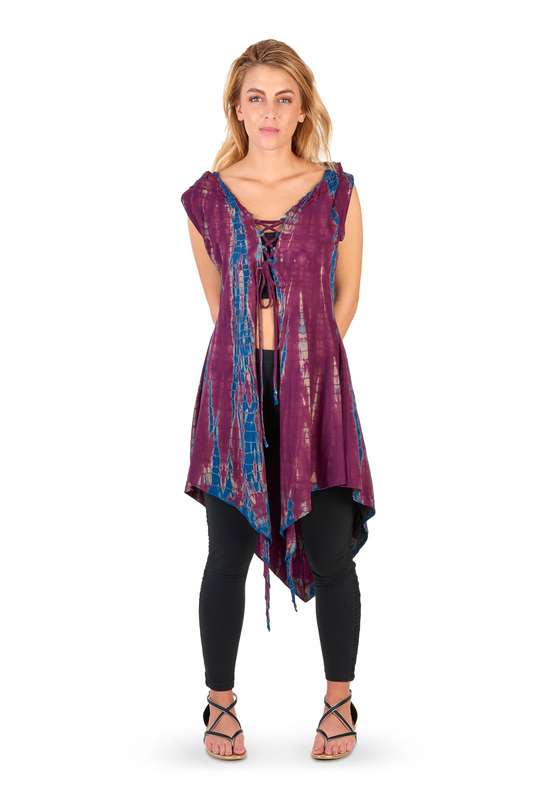 Flatter your shape with this lovely, summery, long lace up hooded waistcoat, a good-weather version of our classic pixie tops and available in three lovely tie dye shades. 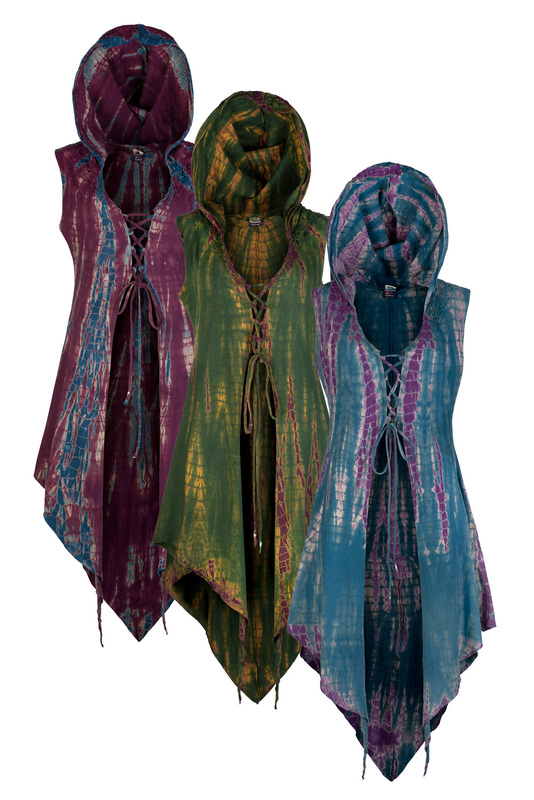 The lace up front means you can create the perfect fit as well as stay comfortable, and if things get a bit chilly the pixie hood, with its panel of same-colour lace, keeps you cosy. 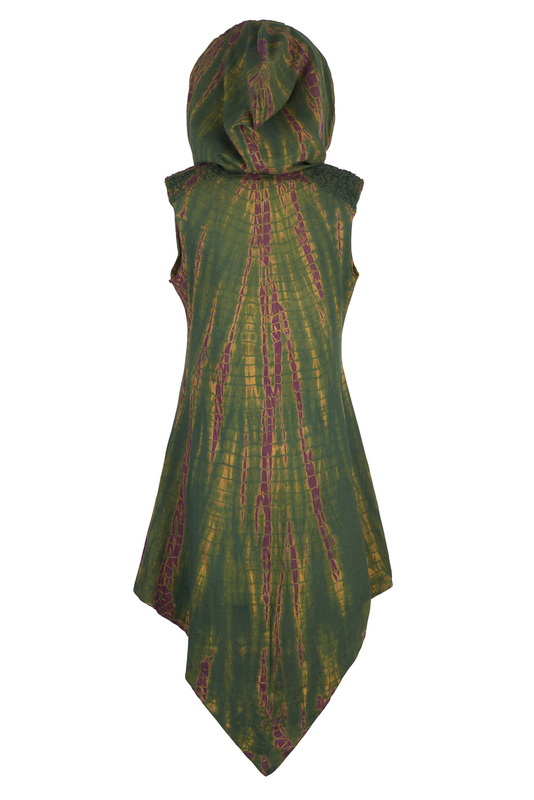 A long pointed back adds a sensual edge to a flexible garment you can wear with more or less anything, from skinny jeans to a short skirt.